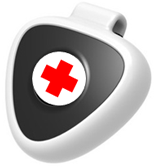 Reevir is a medical alert system. reevir will track movements inlcuding falls. The alerting system will include a multitude of health metrics that can be recorded and transmitted during alerted events. More information about reevir will be available soon.